Ber fruit is known by many other names, among them are Masau, Bor, Indian Jujube, Chinese apple, Indian Plum, Desert apple, and Chinese dates. Ber has a firm shiny skin with a color that varies from golden yellow to brown. 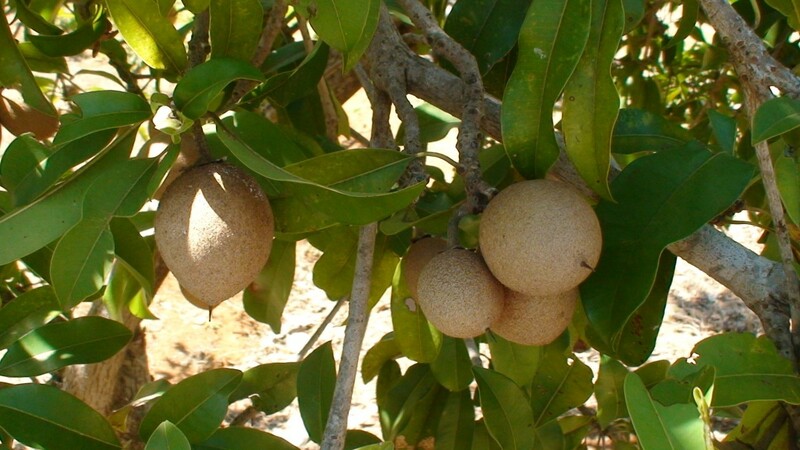 It is a sweet tasting fruit that sometimes has a hint of sourness and a crunch to it. In India, it is called the poor man's fruit, since it is comparatively cheaper than most fruits. Another type of ber, belonging to the same family, is the Chanya Manga bor, also known as Jharberi. It is a round, brick-red colored, berry shaped fruit slightly larger than a pea. 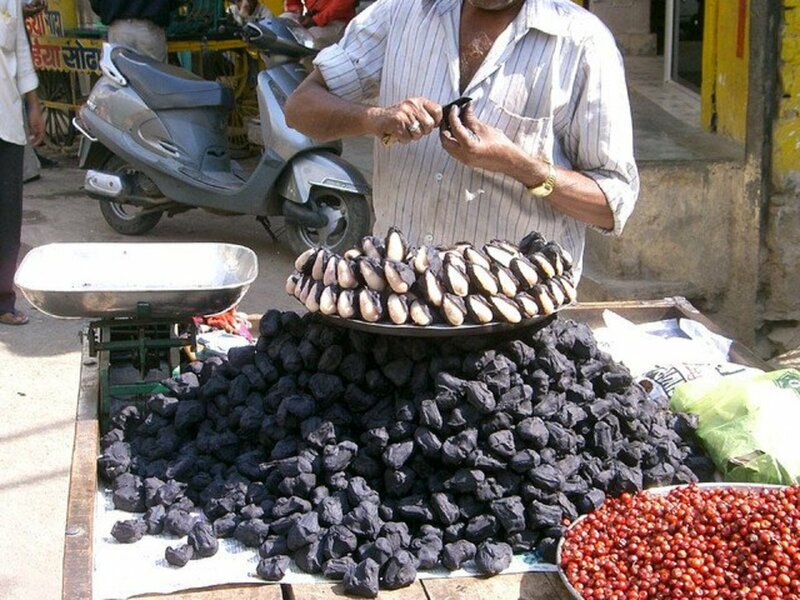 It is commonly sold by street vendors in Mumbai, who sprinkle a little salt on it before packing it in paper cones. This bor is also sold in dried form and is eaten as is. Ber sells for about $0.75 to $1 a kilo. 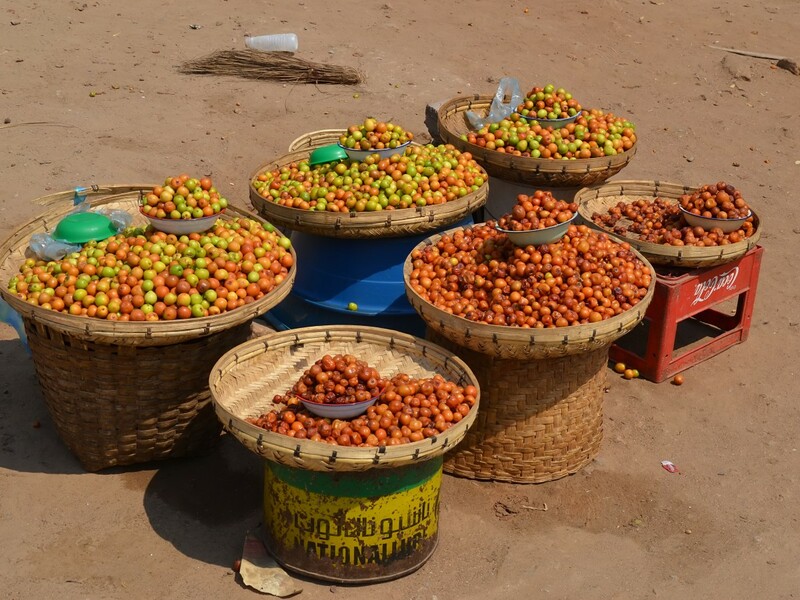 Ber fruits, besides being eaten as they are, are also made into pickles, murabba, candy, chutney, and beverages. Ber is often used in Ayurveda. The leaves, root, and bark are used in various medicinal ways. The ber fruit also has an historic association to it. It is mentioned in the Ramayana that an old woman named Shabari was so devoted to Lord Rama that in her eagerness and anticipation to meet the Lord, she tasted each ber berry to ensure only the sweet ones were offered to Lord Ram when he visited her. As he saw the offering was out of pure love, Lord Ram accepted these berries. The ber fruit is also offered to Lord Shiva while worshipping him, especially during Mahashivratri puja. 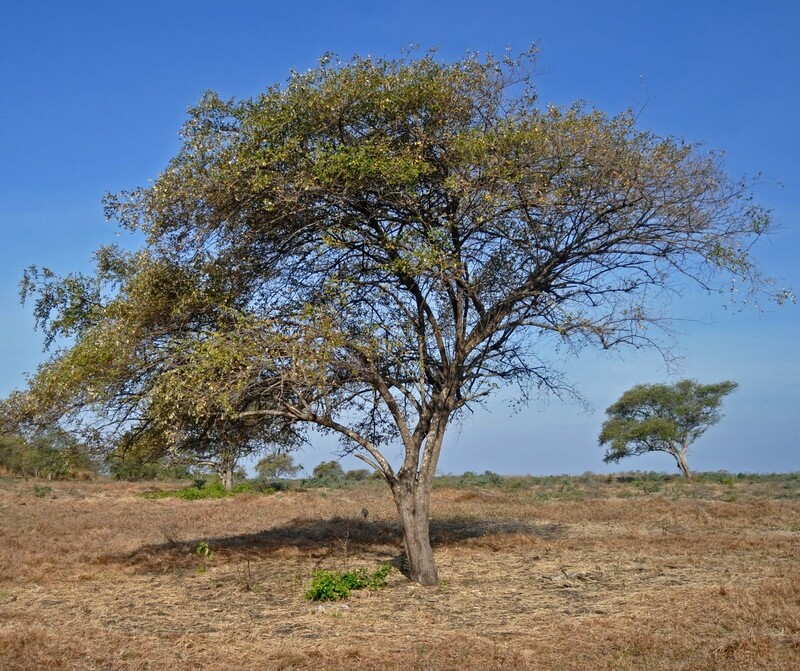 Zizyphus mauritiana varies from a small shrub to a small, hardy evergreen tree that reaches a height of about 30 feet. It has a spreading crown with drooping branches. 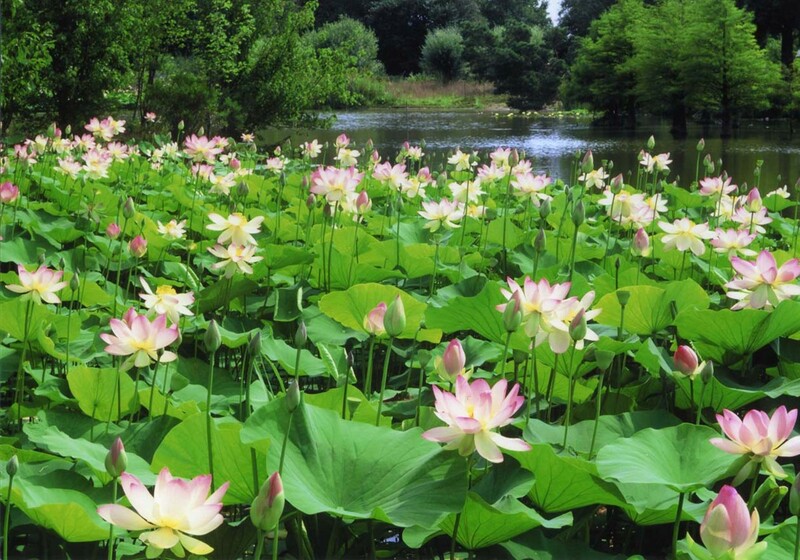 It grows in the wild, but is cultivated in China, Korea, Japan, the Middle East, Africa, Europe, Russia, and the central United States. Ber is also a medicinal tree. Its leaves, bark, seeds, and roots can be used to treat a variety of health issues. It is native to India and grows all over. 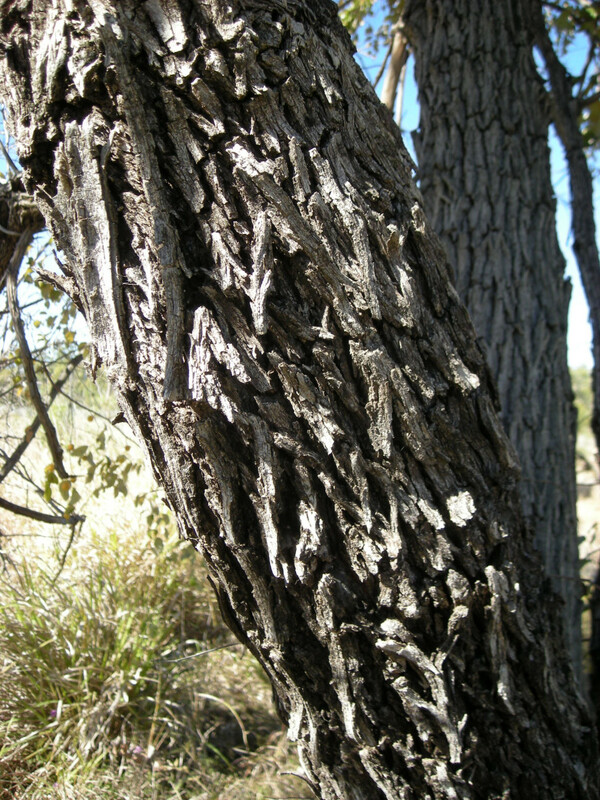 The ber tree is also used to rear the insect Tachardia lacca (Laccifer lacca), which produces lac or shellac. The tender shoots and leaves are used as fodder, while the wood is used as fuel. 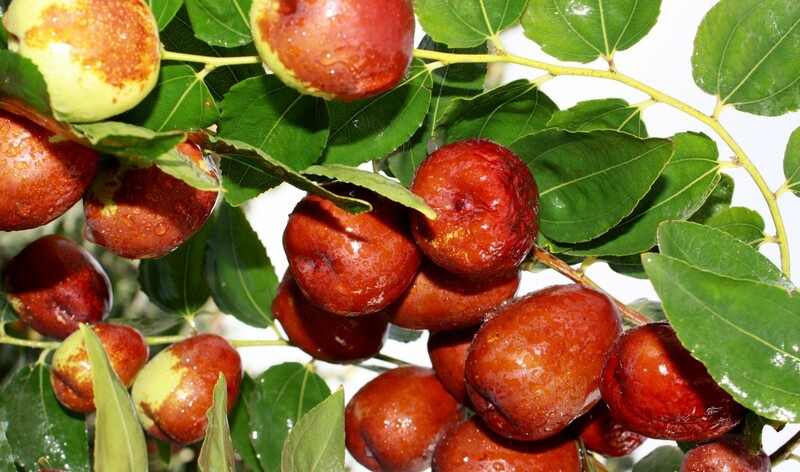 The Chinese jujube is the Zizyphus jujuba tree, which is native to China, where it has been grown for over 4,000 years. It has no fat or cholesterol. It's low in sodium with moderate levels of potassium. 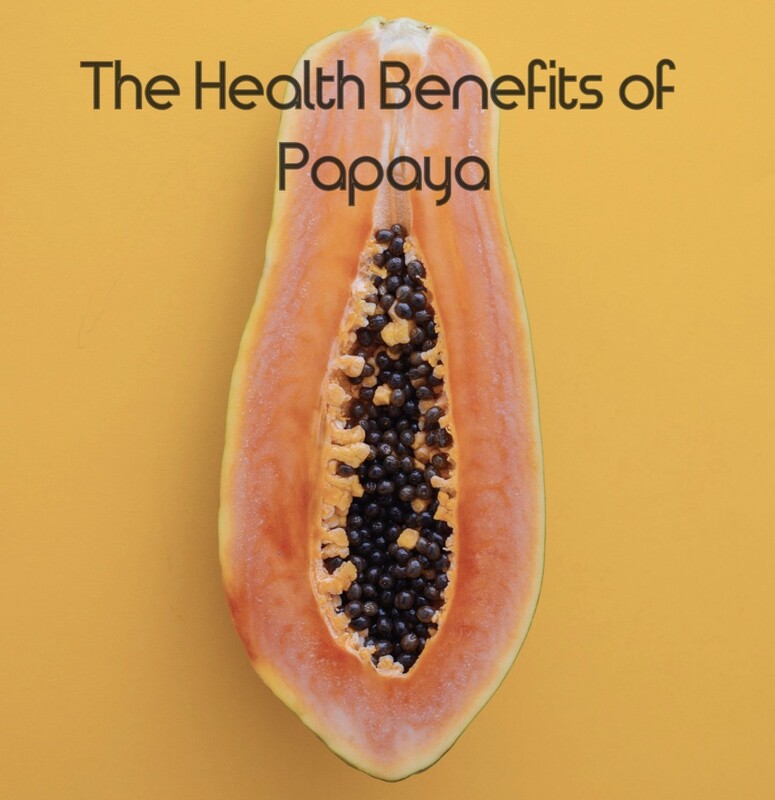 It's very rich in vitamin C, providing 115% of your daily needs per 100 grams of fruit. It contains several B vitamins. 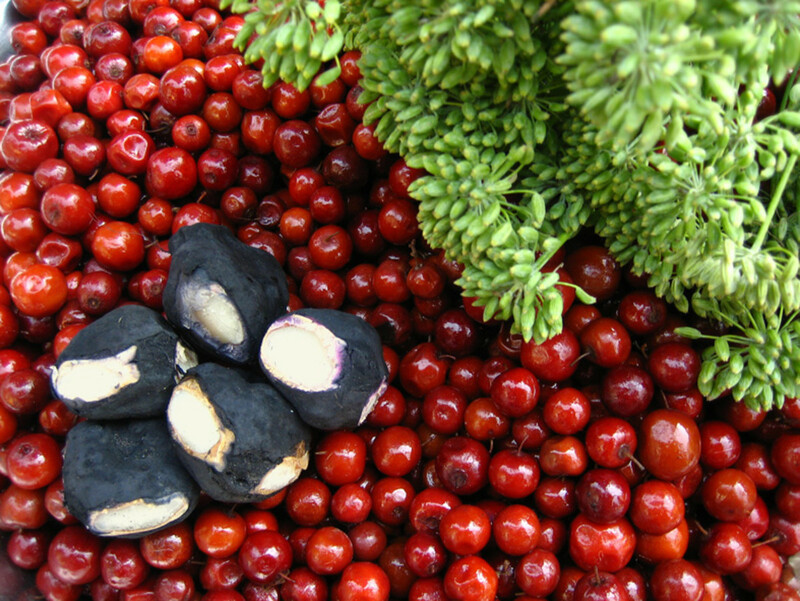 Ber contains tannins that provide positive health benefits. Note: A more detailed nutritional analysis of the ber fruit can be seen in the table below, where the Jujube's nutritive value is measured per 100g. This information was gathered from the USDA National Nutrient data base. Ber (Jujube) fruit has astringent, cooling, pain relieving, stomachic, styptic (contracts blood vessels to stop bleeding) properties. The tannins provide anti-inflammatory, anti infective, and anti hemorrhagic benefits. It also has antipyretic, appetizing, aphrodisiacal, diaphoretic, digestive, expectorant, laxative, tonic, sedative activities. 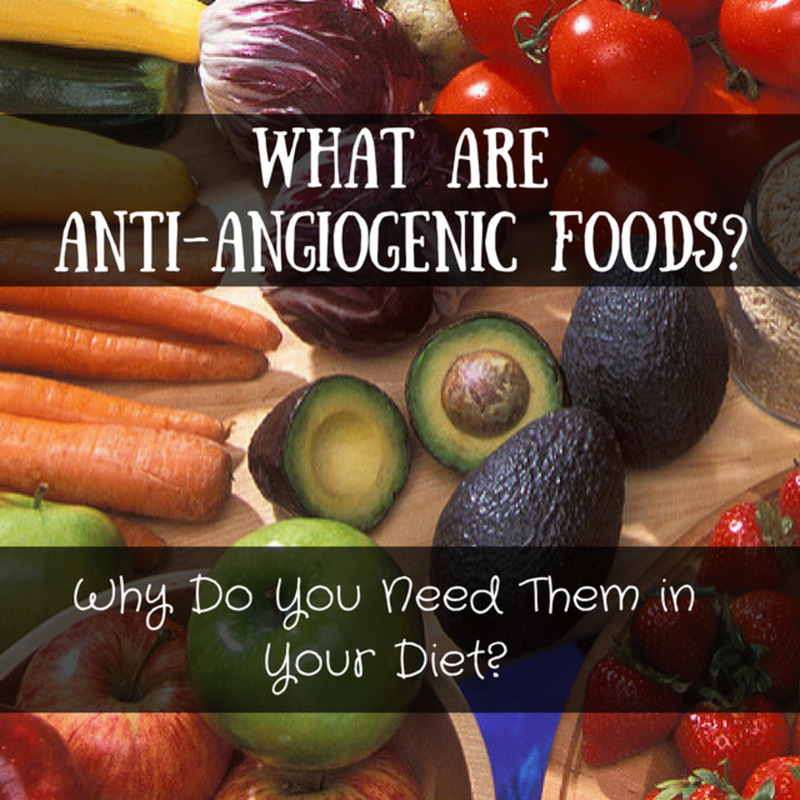 They contain 18 of the 24 amino acids our body needs. Great as a low calorie snack, ber fruit provides a variety of vitamins and minerals that help maintain weight as well as provide several nutrients. The many vitamins and minerals present in ber fruit, plus its excellent levels of vitamin C, help in boosting the immune system while its antioxidant flavonoids, the catechins, not only counter free radicals, but also keep the brain working sharp and clear, improving memory and retention. 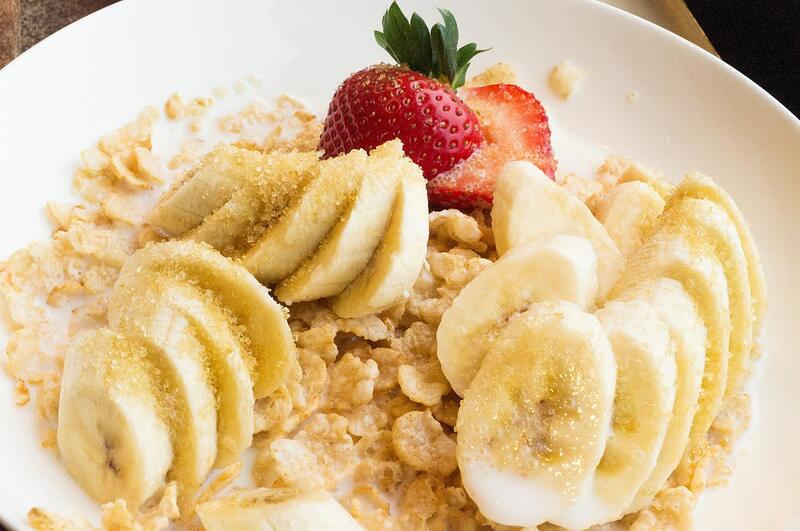 Elements like potassium and magnesium, along with the flavonoids, help to regulate blood pressure, lower cholesterol levels, and reduce risk of heart disease. Because of its calming, soothing, and sedative action, the jujube fruit calms the nerves and nervous system, relieving anxiety and stress. For this reason, the ber fruit can help you sleep better (if it or its decoction is consumed at night). 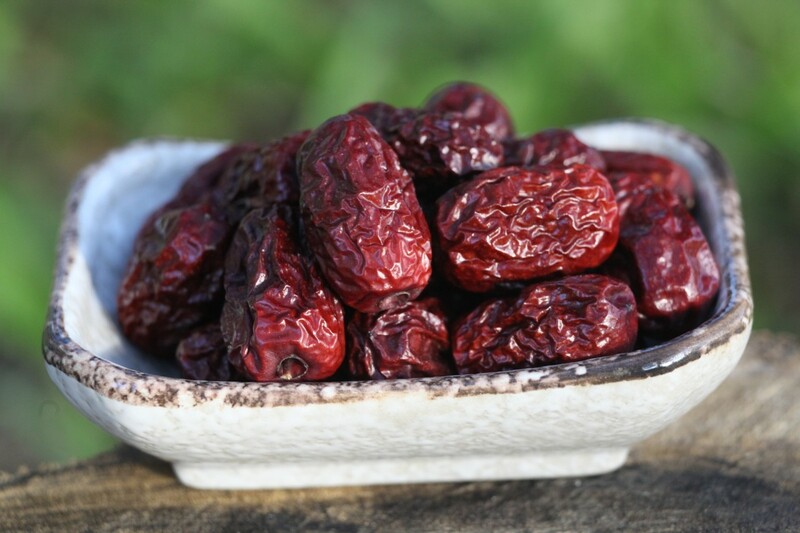 Other minerals present in jujube aid in keeping the bones healthy and strong, delaying, and possibly preventing, old age issues related to bone health. The saponins and triterpenoids, as well as the fiber, in jujube prevent constipation, bloating, and flatulence, while improving digestion. They also aid in detoxifying the blood by removing toxins from the body's system. 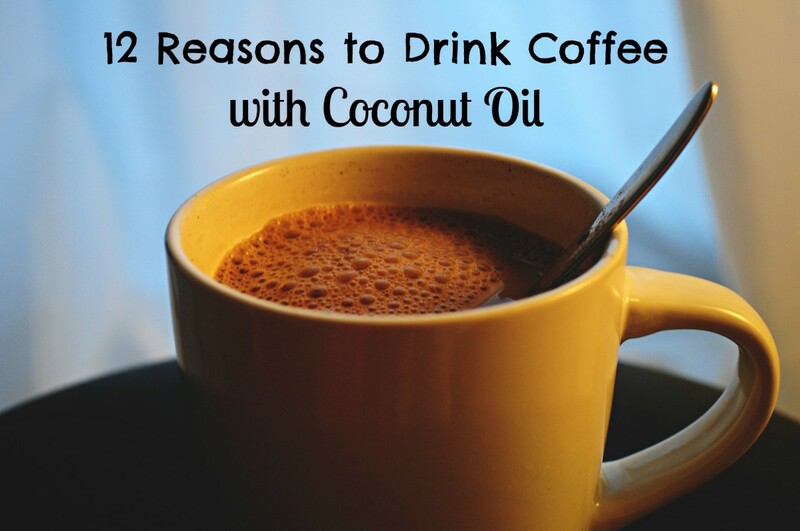 They help maintain a properly functioning liver. Studies have found that jujube's flavonoids lower the risk of cancer and tumors. For rheumatism, a paste of the leaves and root applied on the affected body part helps to relieve pain. For pimples and acne, apply a paste of the leaves. When applied on wounds this paste helps to heal them. For hair loss, apply a paste of ber leaves on the scalp. For boils, apply crushed leaves on them. For diarrhea, the powder of dried leaves can be consumed with water. For indigestions, a paste of the root can be taken internally. To reduce fluid retention, a decoction of the leaves acts as a diuretic. For coughing, a paste of the bark fried in ghee and consumed with rock salt/sendha can help. For fevers, the leaf paste can be applied externally to relieve the burning sensation. For rheumatoid arthritis and ascites, the leaves of ber are used in the preparation of Panchamla Thailam oil. Ber is also used in Panchkarma treatment. In piles, ber decoction is prepared and the patient is made to sit in it for five to ten minutes. This relieves pain, itching, and the size of the pile mass. Though ber is safe for consumption by everyone, the sour fruit should not be taken with milk, as it is incompatible. Sour fruits should not be eaten in gastritis. Only ripe and sweet fruits should be consumed. The information provided in this article is not a substitute for professional medical advice. Please consult your physician or health care provider before taking any home remedies, supplements, or starting a new health regime. I've never heard of this other than an American candy by a similar name. You educate us all! @Hanzamfafa - thanks for stopping by. @MsDora - I believe these fruits ought to be available in Asian markets. Appreciate your visit. Never heard these names before though the fruit looks like a kind of plum I've seen. Good to know about it, in case we should ever meet. Thank you. Very informative and interesting. Thanks for sharing this. @aesta1 - ber is quite a useful fruit to have. @Bill - there are n number of things that are new to us. Always good to know this information is helpful. Thanks. @manatita - glad to provide you with this information. Thank you, Bro. @tebo - it is also available in dried form if you'd like to have it. Appreciate your stopping by. I have never heard of this fruit before. 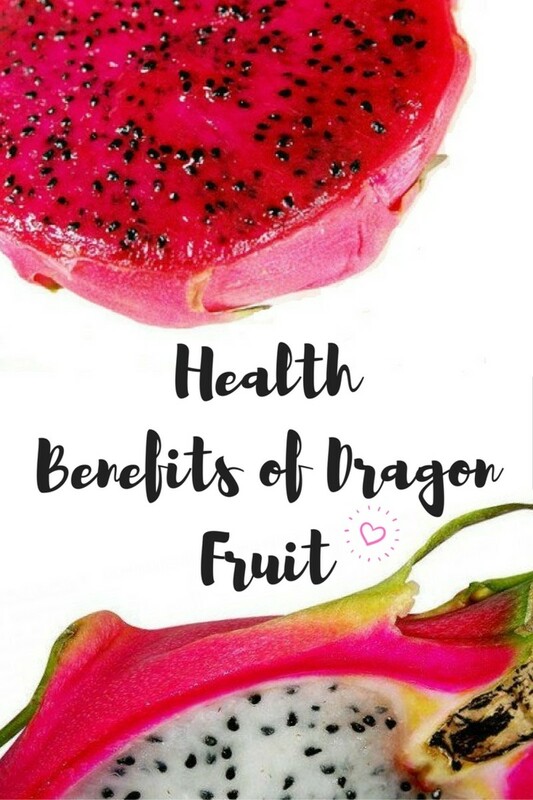 It certainly sounds like a very useful and nutritious fruit. Probably can't get it in this part of the world. Yes, Bro. I know of the Jujube fruit. I do believe that I have had it in one form or another. You seem to write like the Master Herbalist Michael Tierra sometimes, in describing the qualities of the herb. Nice article. Interesting and fascinating. A well-presented hub with useful facts. My education continues. I've never heard of this.....I'll be on the lookout around here, but I honestly have never seen it or heard of it. I see this in the grocery but have not really given it attention. Now that I know of its benefits, I will definitely try it. Thanks for sharing the ayurvedic remedies...quite helpful!